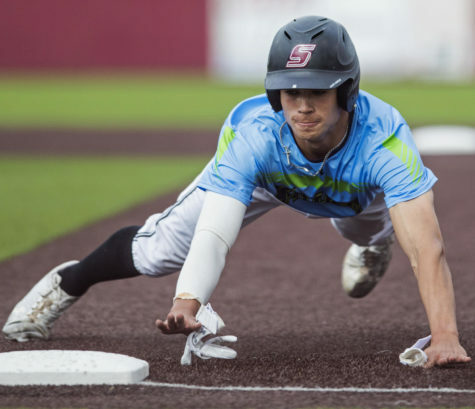 Down three runs with one out in the top of the ninth, Southern’s baseball team scored five times to take the lead and shut down Southeast Missouri in the bottom half of the inning to earn a stunning 7-5 win Tuesday night at Capaha Field. 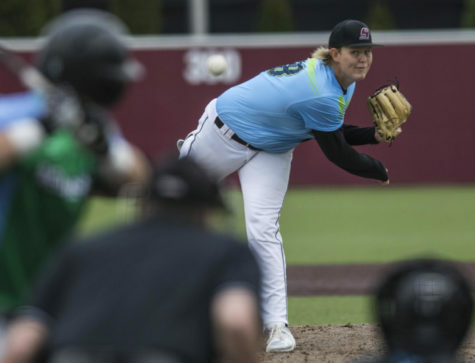 Junior pitcher Jamison Steege took the mound in his first career start for the Salukis Tuesday night. 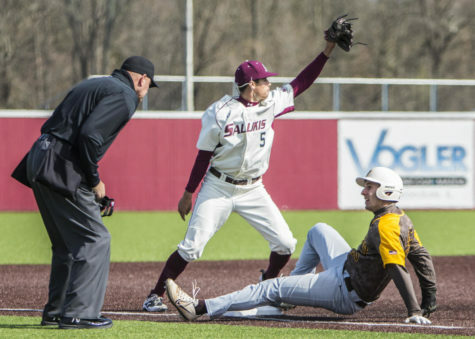 Steege navigated through some early trouble in the bottom of the second, surrendering a triple and back-to-back home runs to SEMO batters before closing out the inning for an early 3-0 deficit. 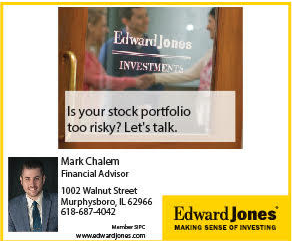 He found his stride through the next three innings, finishing his day with 5.0 innings allowing three runs on four hits while striking out four and not issuing a walk. 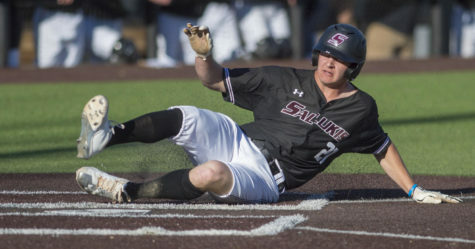 Senior center fielder Ryan Smith scored the first run for the Salukis in the top of the third when he came home to score from third base on junior designated hitter Logan Blackfan’s ground out. Senior shortstop Will Farmer added another run for Southern leading off the top of the fourth inning with his fourth home run of the season to make it a 3-2 game in favor of SEMO. SEMO added a run in the bottom of the seventh, and another in the bottom of the eighth, to take a 5-3 lead into the top of the ninth inning. Junior second baseman Connor Kopach led off the top of the ninth with a deep drive to center field that was caught on the run for the first out of the inning. But Smith and junior first baseman Greg Lambert laced back-to-back doubles — with Smith scoring on Lambert’s drive to left field —to cut into SEMO’s lead 5-3. Blackfan came to the plate following Lambert’s at-bat, and launched a 2-2 pitch over the right-center field fence for his fourth home run of the season to tie the game 5-5. Junior catcher Nick Hutchins and Farmer worked back-to-back walks following Blackfan’s homer to put the go-ahead run in scoring position for Southern. Senior third baseman Ryan Sabo reached on an infield single to load the bases for Saturday’s ninth-inning hero senior right fielder Jake Hand. Hand drove a single up the middle to score Hutchins and Farmer, giving Southern its first lead of the game 7-5. 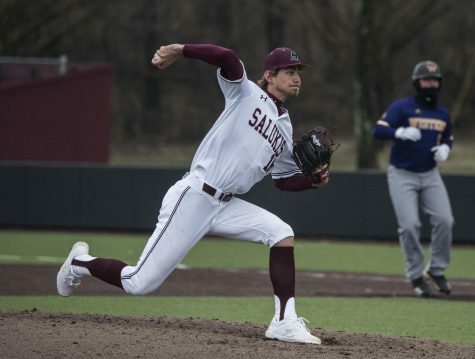 Coach Ken Henderson sent junior pitcher Ryan Netemeyer to the mound in the bottom half of the ninth to close it out for the Salukis. Netemeyer made things interesting when he walked the first two batters of the inning to put the tying run on base with no outs. 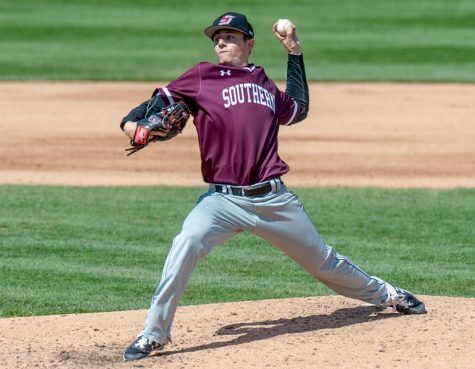 But he bounced back by striking out the next two batters he faced before forcing a fly out to center field to end the game and complete his 13th save of the season in a stunning come-from-behind 7-5 win for Southern. 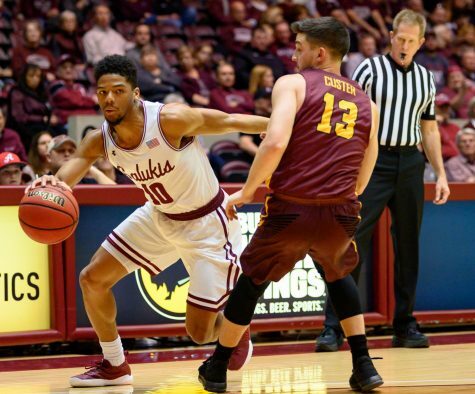 With this win, Southern completed the season sweep of SEMO after winning its first match-up 4-2 on April 11. 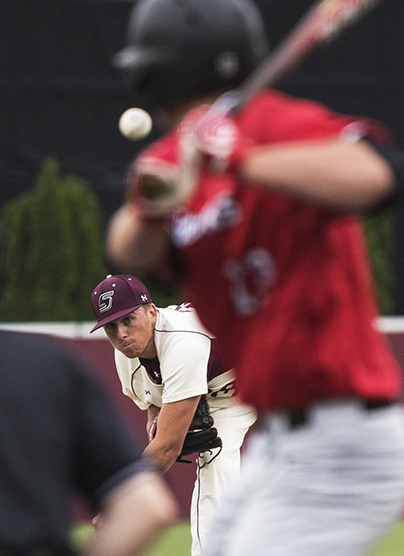 Nine of the ten Saluki batters to step to the plate Tuesday night recorded at least one hit, with three recording multiple hits in the game. Smith went 2-for-4 with a double and two runs scored, and Sabo went 2-for-3 with a triple and a walk. 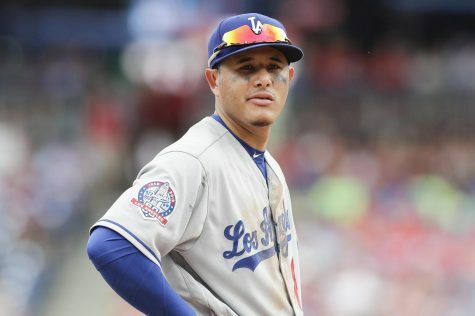 Both also reached base Tuesday after being hit by a pitch. Lambert continued his torrid hitting, going 3-for-5 with a double, one run scored and one RBI. Farmer and Blackfan both claimed their fourth home run of the season in Tuesday night’s game at SEMO. 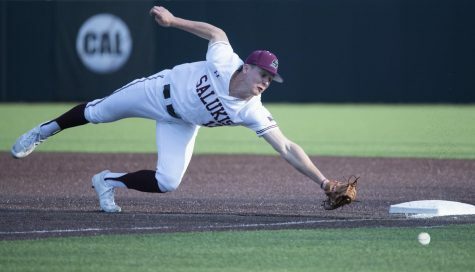 SIU (22-20, 5-4 MVC) will look to build on its season-best four-game winning streak when Dallas Baptist comes to Itchy Jones Stadium this weekend for a three-game conference series match-up. First game of the series is scheduled for a 6:30 p.m. start on Friday. Senior starting pitcher Chad Whitmer will take the mound for the Salukis in the first game against the Patriots.